Writing Your First Letter to a Pen Pal? So, use sample first letter to a pen pal as a template for your successful first letter to a pen pal. Writing to pen pals around the world was very common for people of a certain age, but today, in spite of social media and email, snail mail is undergoing a revival. In fact, social media and the Internet have actually helped people make friends with pen pals because they can start with a common interest. 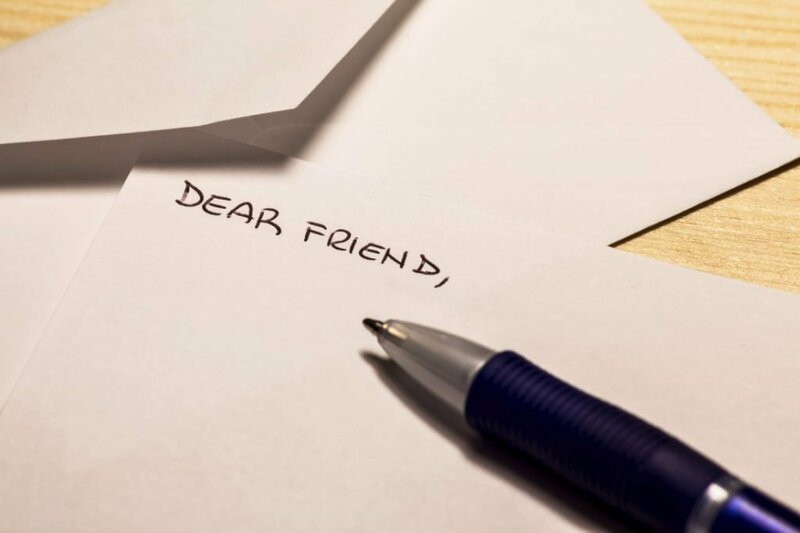 There are websites that encourage pen pals and help strangers become friends through letters. Handwritten letters feel more personal to some, and many people send small packages with mementos and other memorabilia that helps create a long-distance relationship. When they sit down to write their first letter to a stranger, many people experience writer’s block. The best way past this is for the writer to keep expectations simple at first. This means, after visiting several websites, they should select several people who seem interesting and with whom they may want to correspond. Many people put up a profile and rarely or never check it again, go its worth writing to several to see who answers. The two main types of pen pals are people with a common interest that they enjoy sharing and discussing and people who do not have any interests in common and would like to learn about the other person’s interests. The writer should explain in the first sentence of the letter who he or she is and how they found the name and address of their potential pen pal. If it was from an online service or a magazine article, they should give the name. The next paragraph should refer to something in the person’s profile. For example, the profile may say they love reading science fiction or mountain biking. The writer can ask them who are their favorite authors or what trails they have ridden. This gives an opening for the writer to tell about his or her favorite authors or mountain biking routes if they have the same interest or to ask about the other person’s interests. For example, if the writer has chosen someone with whom the writer has nothing in common, they can mention that they would like to read science fiction, but never knew where to start. It is not recommended for the writer to give an autobiography, but mentioning a few things about him or herself will give the people something to write about in their answer. Another way to make it easy for pen pals to answer is to ask general questions about their interests that don’t require personal information. For example, the writer can ask if there are good mountain biking trails in the city or country where the pen pal lives. If the writer receives an answer to the first letter, they should respond as soon as possible. These letters may take days to arrive at the destination, and if the writer is sincere about maintaining a relationship with the pen pal, he or she should not wait too long to send an answer. If there is no response after two letters, it’s all right to remind the person once, but after that it’s better to let that person go and try someone else. Below is a sample of a first letter to someone with whom the writer has a common interest. The first letter is just an introduction, so it should be short. This type of letter is usually hand written, but some may want to type and print their letter. The important thing is to send it through the regular mail. The writers should keep copies of their letters as well as a record of any memorabilia or trinkets they have sent. My name is NAME, and I’m 22 years old and have just graduated from college. I found your name on www.penpalworld.com and learned from your profile that you are a graphic artist in India. I have a new job as an intern in a graphic design company and will learn how to create advertisements for print and online media for our clients. I thought being in contact with you would broaden my horizons and inspire my artistic abilities. I love color and most of my portfolio is filled with brightly colored examples of design using basic shapes and sans serif font. I have enclosed a small example of what I do. It’s one of my favorite samples from my work in college and would appreciate your opinion. What type of design do you love? Do you include traditional Indian design in your work? I would enjoy discussing design with you and learning new things. Hopefully, my work and ideas can inspire you too. Let me know what you think and, if possible, send me a sample of your work. Maybe together our creations will be much better than they would have been alone.